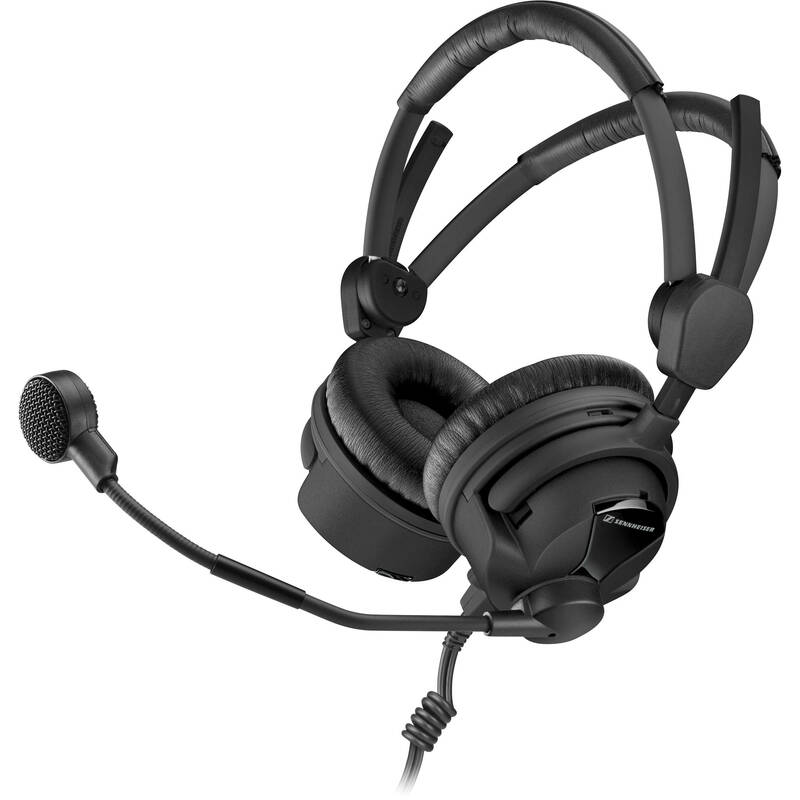 The HMD 26-II-100-8 Broadcast Headset from Sennheiser is designed to meet the requirements of demanding broadcast applications for studio or outside productions. The headset is lightweight, provides soft ear cushions and headband padding for comfort even during long production days. The closed, supra-aural headphones are designed for high maximum SPL and provide a passive noise attenuation. They are equipped with the ActiveGard limiter which protects hearing from sudden volume peaks above 105 dB. It can be activated or deactivated. The headset is provided with a dynamic hypercardioid patterned microphone. The microphone is designed for excellent acoustic performance, reliable noise suppression and has a shock mounted capsule for absorbing structure born noise. The short flexible part of the boom allows for right positioning of the microphone. This headset is designed for use in loud environments. Furthermore, the cables, ear cushions and padding can be easily replaced. Box Dimensions (LxWxH) 9.9 x 7.5 x 3.2"